For better or worse, throughout many regions of the country 2015 provided the optimal growing season conditions for both crops, as well as unwanted invasive weed species, making the past few months ideal for evaluating the effectiveness of different weed control strategies. 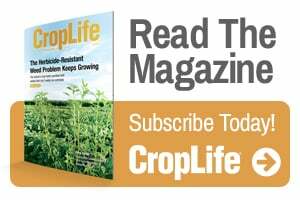 N­eil Schumacher, Central Valley Ag (CVA) (Oak­land, NE) agronomy sales manager, says the two largest challenge weeds in his three state territory have been Roundup resistant marestail and waterhemp. The management strategies his team recommends to CVA growers to eradicate these weeds, according to Schumacher, is an always moving target. “It’s been an evolving challenge for us, and we’ve promoted residuals and we’ve promoted fall applications for marestail,” says Schumacher. “And it’s like anything else; if you don’t see it in your own fields you assume it’s not really a problem for you. Schumacher adds that many challenges remain for growers still grasping with the new post-glyphosate era of weed control. Another challenge that has arisen with CVA’s altering of their herbicide resistance management plans is a shrinking window of opportunity with fall burndown applications, according to Schumacher. Schumacher says he’s still seeing “a lot of water hemp poking up through soybeans” and that both the Liberty Link soybean systems and the coming dicamba and 2,4-D tolerant cropping systems “pose a lot of interest” in CVA’s trade area. “If the dicamba is truly more manageable than it’s been in the past and doesn’t cause a lot of issues with drift and off target movement, that will probably be the one with the most potential for our guys,” Schumacher says. 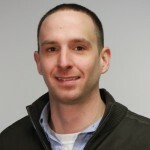 Valent U.S.A.’s John Pawlek, product development manager, says the company’s herbicide resistance management strategy that it recommends to growers, starts with always maintaining a full label rate of residual herbicide. Valent’s current anti-weed arsenal in soybeans includes Valor SX, Valor XLT, Fierce and Fierce XLT, according to Pawlek. “In situations where there’s low weed pressure and no known history of resistant weeds, we recommend Valor SX (flumioxazin), and where we see a need to control larger seeded broadleafs and want a longer residual effect, we can go with Valor XLT (flumioxazin + chlorimuron-ethyl),” he says. When resistant weeds enter the picture, Fierce (flumioxazin + pyroxasulfone) and Fierce XLT (flumioxazin + pyroxasulfone + chlorimuron-ethyl) are the main options depending on the circumstance. According to Pawlek, weed extension specialists have a three step approach to managing glyphosate, ALS or even the recently confirmed PPO resistance in soybeans. “Academia has been very adamant about taking a three step approach: the first step is using a full rate of the residual herbicide in preemergence, then using multiple effective modes of action and finally use an overlapping residual with your postemergence application,” explains Pawlek. Fierce XLT has 3 modes of action on PPO and ALS resistant waterhemp or Palmer?? And we wonder why farmers are confused!! Modes of action isn’t the bragging criteria. It is effective sites of action that count!! Let’s get our modes and sites straight.